Abstract: Between the end of the fourteenth and the middle of the fifteenth centuries, the first allegorical theaters emerged. 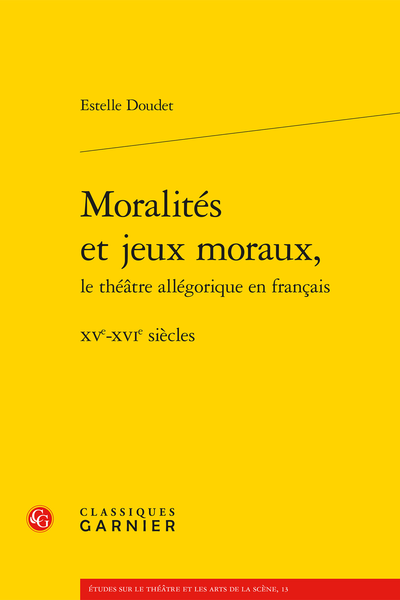 Moralities and morality plays in French are the best-preserved accounts of an art dedicated to the critical interpretation of the present and the creation of public space. This book proposes an overall study. Des jeux moraux, quand, où, pour qui ?